In-fill grass is where material is added to the top, which can weigh down the grass and ensure that the pile is vertical. Non in-fill grass is pinned down so that material is not needed to be added to the top. Sports grass is longer, allowing players to run on it with the addition of a performance in-fill. These artificial sports pitches are typically known as 3G and 4G pitches. Sports grass is perfect for use for a variety of sport activities e.g. football. Hybrid grass is a mix of fake and real turf. Do you think the grass is always greener on the other side of fence? With our artificial glass, you can give your lawn a fresh, crisp look. 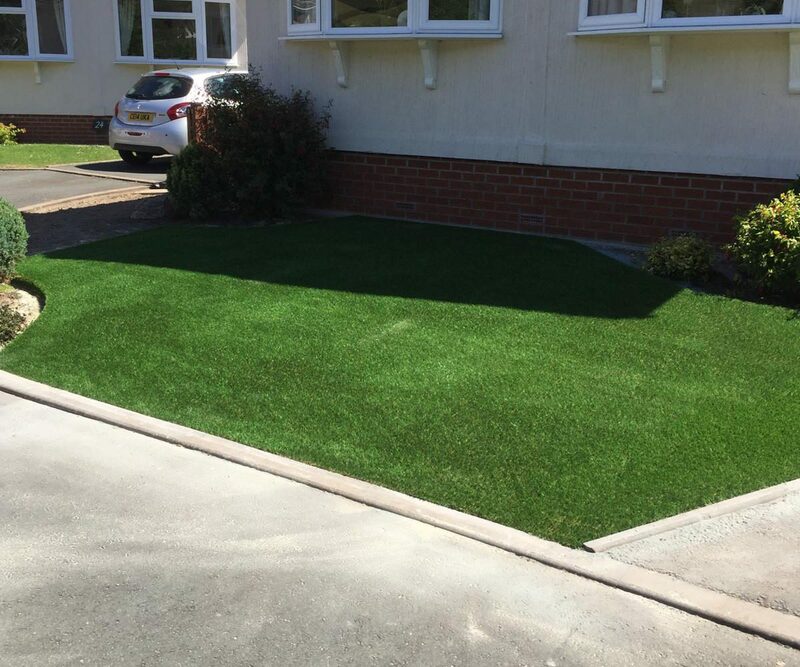 Our artificial grass gives off the impression of a newly laid lawn throughout the year, without the hassle of maintaining a lawn. 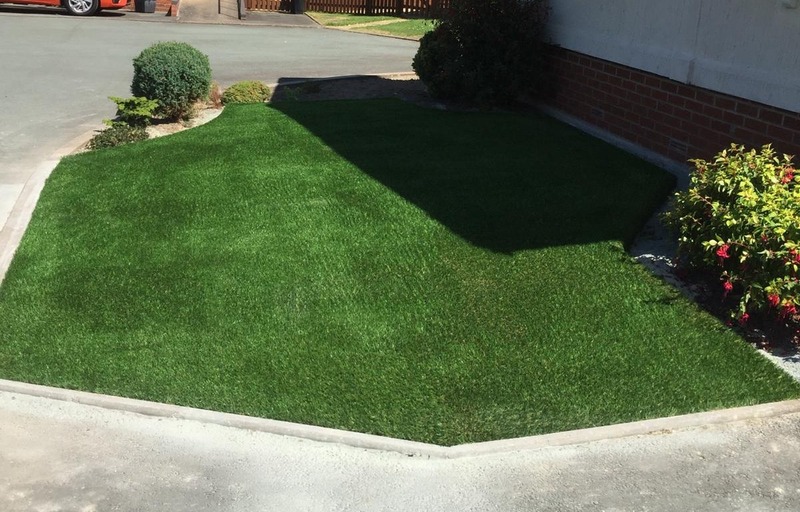 Our artificial grass is fade-resistant, ensuring your lawn retains its good looks throughout the year. With artificial grass, you can save yourself valuable water without needing to sacrifice the health of your lawn. Artificial glass also doesn’t require fertilizer, pesticides, water or any gas-powered tools to thrive, ensuring that your lawn looks great from the moment that the artificial grass is laid down. This helps you to save money on any resources that are needed to maintain your lawn. In addition to looking good, artificial grass can be extremely useful if you happen to live in a flood-prone area. We manufacture all our artificial grass to be environmentally friendly as our artificial grass requires no maintenance from gas or electric-powered lawn equipment. Once your new artificial lawn has been installed, you can trade in your lawnmower and effortlessly enjoy your garden without needing to worry about watering your lawn. Simply sweep your artificial grass with a broom to clear away any debris or soil from the top of the turf to ensure that your lawn looks great with minimal stress or strain. When you have a natural turf, you are at the mercy of the weather as natural turf fields and grass turn to mud when there is significant rainfall. This can often result in having to regularly replant grass. Astro turf is frequently used when maintain a real grass or lawn would be too time-consuming and challenging. This makes astro turf perfect for sports, ensuring that sports players can leave a perfect field every time, ensuring that your sports players can continue to perform at their best regardless of the weather conditions. By incorporating astro turf into sport pitches, you can easily and effortlessly avoid the cost of laying and maintaining natural turf, allowing you to maximise the hours of usage. For more information on artificial grass and astro turf, please feel free to call us on 01691 575456 or email us info@wyevaleproperty.com.